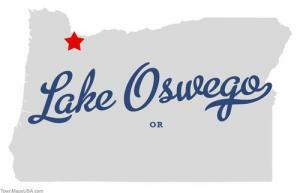 The Lake Oswego City Council has voted to approve a 10% tax on recreational cannabis, weeks prior to the state’s votes this November on Measure 91, which would legalize the possession, cultivation and state-licensed distribution of cannabis for those 21 and older. The Council also produced a 5% tax on medical cannabis. Both taxes will be on gross sales. On November 4th, voters will decide the fate of Measure 91, which would legalize the possession and sale of up to 8 ounces of cannabis. According to a study released in July by ECONorthwest, the price of cannabis is likely to be around $140 an ounce of Measure 91 is approved. The post Oregon City Approves Tax on Recreational Cannabis Prior to Vote on Legalization appeared first on The Joint Blog. For centuries, gardeners have had to deal with pests of many varieties. Whether they are birds, insects, mammals, or even other humans, cultivated plants seem to have a target on their backs. While humans don’t really eat raw cannabis, some pests certainly seem to like the taste. If left unchecked, an infestation can end up ruining your crop. At the same time, using harsh chemical products to repel the pests can be harmful to you later on. To avoid all that, we have compiled a list of some safe and effective repellents (and other safety precautions) to keep bugs away from your plants. 1. Only use sterilized soil or fertilizer. The problem with unsterilized soil is that it can contain the eggs or even larvae of some common marijuana pests. If you grow your marijuana in that soil, you will be in for a rude surprise when those eggs hatch or those larvae start to grow up. This is particularly bad for indoor growers because there are no natural predators inside your house. 2. Use natural predators. Of course, if you’re growing marijuana outdoors, you can make use of a few pest predators. Ladybugs are notoriously beneficial to have around your outdoor marijuana plants because they love to prey on larvae and other potential pests. 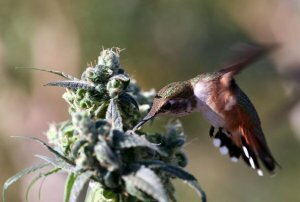 You should also encourage birds to nest in the area because they often like to snack on some pernicious marijuana pests. Put out some bird houses or a bird feeder to get birds to come around. Just make sure that they stay away while the seeds are germinating because many birds do enjoy the taste of a marijuana seed. Download my free marijuana grow guide at this link and for more outdoor growing tips. 3. Grow companion plants. Interspersing the marijuana garden with a few naturally repellent plants is certainly a good way to keep the predators away. Although the THC that marijuana produces acts as a natural repellent in its own right, it is often not strong enough to repel all plants (especially in the early stages of life). Particularly pungent plants like geraniums and marigolds will keep many leaf-eating insects and worms at bay. You can even plant some onions to ward off bigger pests like deer or rabbits. 4. Use the urine of your pests’ enemies. This might sound like a joke, but it actually works and it’s actually feasible. Many mammals like deer have keen senses of smell and if they detect a hint of bear or puma urine, they will want to stay as far away from your marijuana plants as possible. That’s because they won’t want to enter territory that a much larger predator has been roaming around in. The same is true for rabbits and fox urine. You can buy these scents at many sporting goods or outdoor shops. 5. Build a fence. If bigger animals are a problem and the scent of their enemies doesn’t deter them, then you might need to try building a fence around your plants. Obviously, many marijuana growers don’t have this luxury and it’s really only something that people growing on private land can do. 6. Create a repellent force field around the plants. With a permethrin-based repellent, you can keep insects away from your plants without using the synthetic spray on the plants themselves. Simply spray a ring on the ground about 6 feet away from the plant. Any bugs that come into contact with the permethrin will die or just evacuate the area. 7. Use custom organic repellents. Many growers have opted for pungent, organic repellents to keep pests away from both their indoor and outdoor plants. Concoctions like cinnamon oil, clove oil, and coriander oil have all had relative success without causing any damage to the plant. You can easily spray these repellents directly onto the cannabis leaves with no fear of any adverse reaction. Of course, different cannabis strains might have different reactions to any homemade organic repellents, and you should always test the repellents on an inconspicuous section of the plant to make sure no harm is done. The post 7 Ways to Keep Pests off Marijuana Plants appeared first on The Joint Blog. All cannabis plants start as seeds, and they all require water to germinate properly. Each seed contains a full, little plant that has a root, stem, and a couple of leaves. There are also enough nutrients in the seed for it to survive the first portion of its life. During germination, these vital nutrients (proteins, carbs, etc.) are transformed into glucose, which all plants need to for growth. Creating the ideal climate is also important for germinating the seeds under ideal conditions. CFL tubes don’t produce that much heat, but they will keep the soil warm. You can keep the distance between the plants and the bulbs to a minimum, but if the temperature exceeds 77° F, then you should move them farther apart or cool down the area. Soil moisture is important to ensure that the seed disposes of the water. Avoid feeding the seeds until the initial leaves make it through the soil. This happens after about 5 to 8 days. Be patient and just check the moisture level of your soil without feeding any nutrients. As you have seen, it’s not very hard to grow healthy marijuana plants. Everyone has their own technique and I’d like you to share your own knowledge on my forum. If you need high quality marijuana seeds, check out my seed shop for a wide selection strains at this link. The special offer for all Super Skunk, White Widow, and Super Silver Haze orders is still in effect (buy 5, get 5 free!). And we do ship to the States! The post This is How You Create Strong Marijuana Plants appeared first on The Joint Blog. The possession of up to 10 grams of cannabis is no longer a criminal offense in Maryland, as Senate Bill 364 becomes law. Senate Bill 364, which was signed into law by Governor Martin O’Malley in April, officially took effect at midnight (EST), October 1st. The proposal makes the possession of up to 10 grams of cannabis a simple $100 ticket for someone’s first offense, instead of an arrestable misdemeanor as it was before. A person’s second offense will be a ticket of $250, and all following offense will be a $500 ticket. According to polling,released earlier this year, 72% of Maryland voters support decriminalizing cannabis. Senate Bill 364 was approved 34 to 8 by the Maryland Senate, and 78 to 55 by the state’s House of Representatives. The post Maryland Decriminalization Bill Now in Effect appeared first on The Joint Blog. 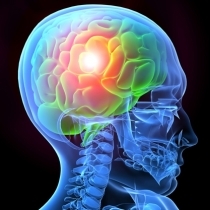 The presence of tetrahydrocannabinol (THC) in the system is associated with increased survival rates in those who experience traumatic brain injury (TBI), according to a new study published in the American Journal of Surgery. After examining 446 individuals – 18.4% of which had THC in their system – it was found that the mortality rate for the THC positive group was just 2.4% (two deaths total), compared with 11.5% (forty two deaths total) in the THC negative group; a 479% decrease. “After adjusting for differences between the study cohorts on logistic regression, a THC(+) screen was independently associated with survival after TBI”, says Dr. Nguyen, the study’s lead author. The post Study: THC Increases Survival Rates in People that Experience Traumatic Brain Injury appeared first on The Joint Blog.